A map can look good on the wall and still provide plenty of useful information. 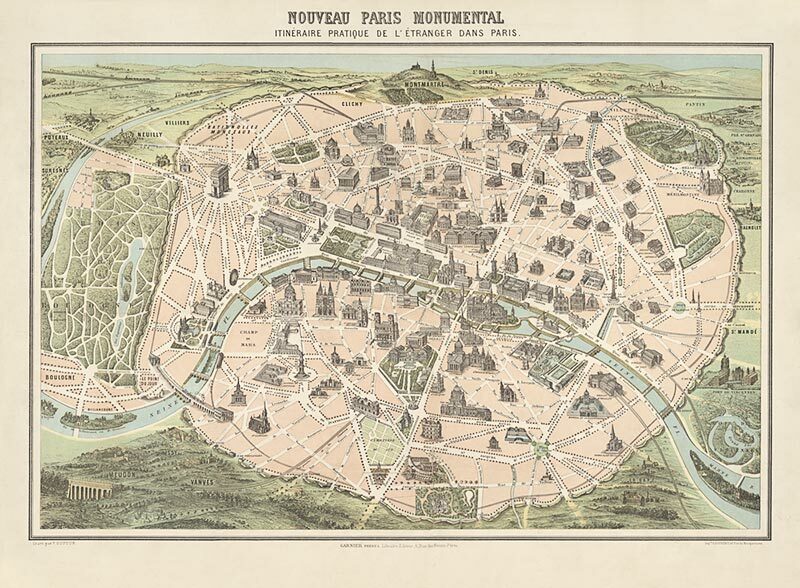 Victorian cartographers seemed to be especially good at creating such maps. 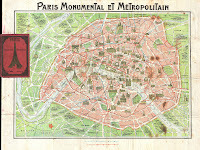 These two samples are clear and attractive guides to the monuments of Paris. I could use either of them in D&D to great effect. If you’re a traveler spending a few days in town to rest, resupply, and possibly have a short adventure -- you’re essentially a tourist. 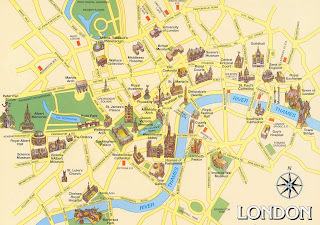 You want to know the city’s highlights, and tourist maps are about the clearest, most useful guides you’ll find. They show landmarks and major streets, which are what the casual tourist cares about. 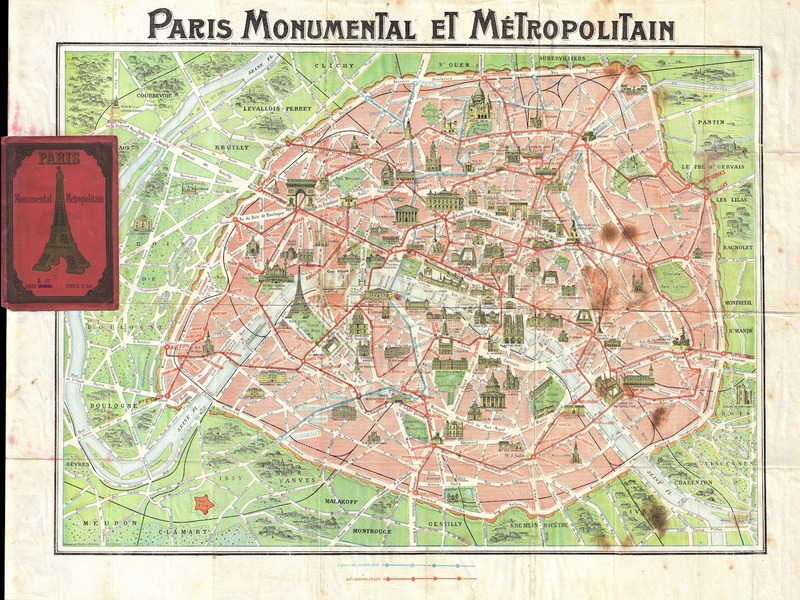 The two previous maps were basically tourist maps done in a flowery style. 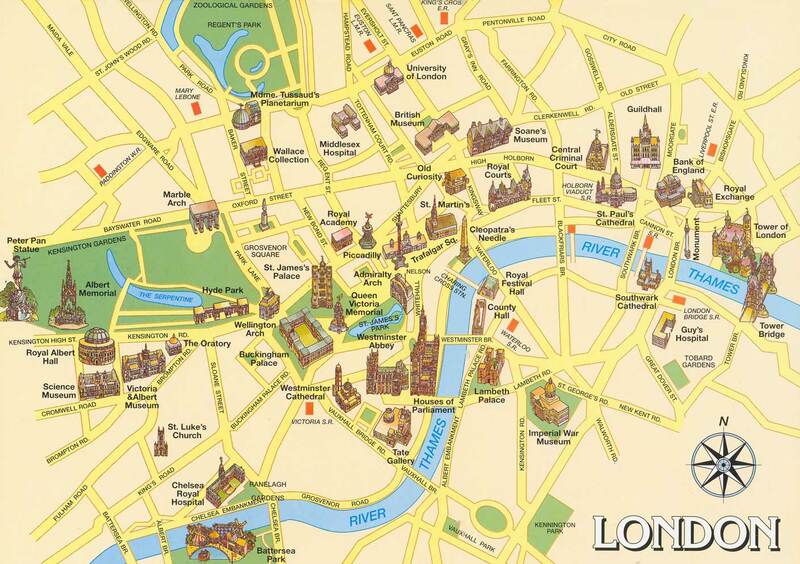 Modern tourist maps aim for simplicity, which means they’re easier for amateur cartographers such as DMs to imitate. 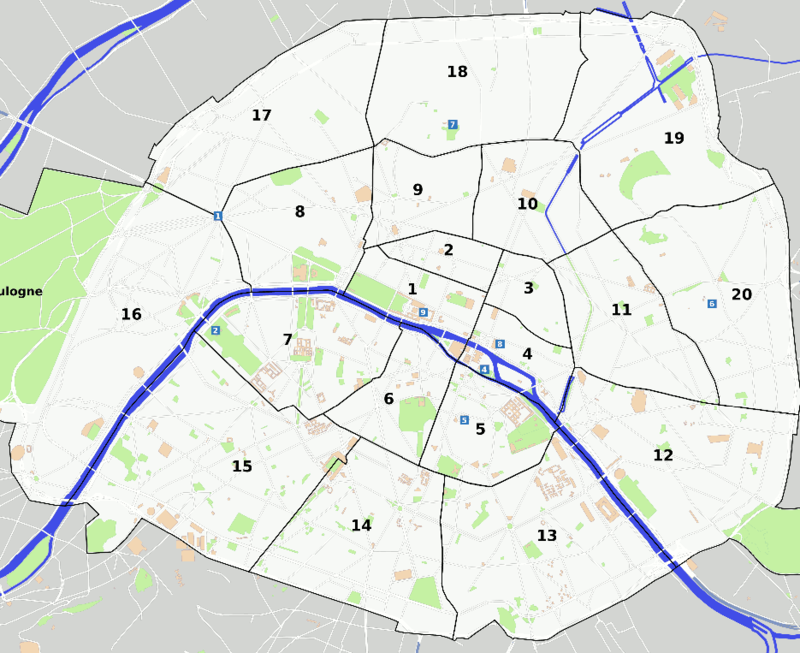 One thing that city maps tend to be especially bad at is regulating movement. How long does it take to get from the Wyck River Gate to the Old Bailey? Assuming the map has a scale at all, the DM would need to get out a compass or a ruler to measure the distance, divide it by the characters’ speed, and then add some fudge factor to account for congestion on the streets. Admittedly, this sort of information is often unnecessary, but an element of time pressure can make a city adventure especially exciting. 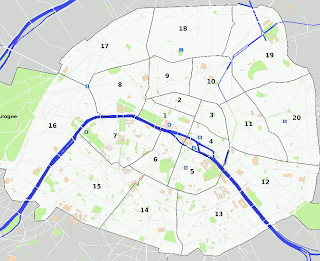 The simplest way to manage travel time is to divide the city into zones. Each zone takes the same amount of time to cross. Where the streets are narrow, twisty, and crowded, the zones are small. Where the streets are broad and traffic moves smoothly, the zones are large. These sample maps aren’t drawn with speed of movement in mind, but they show what such a map could look like. In essence, it’s a game board. 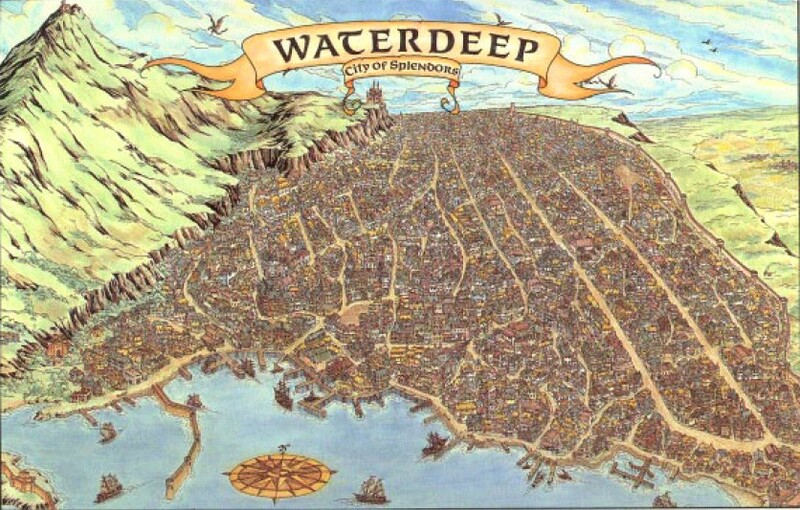 Tomorrow, I'll show off some unusual approaches to city maps taken by games. Very nice- and I agree completely. I love Harn, old WHFRP, and Rolemaster classic city maps, but most aren't helpful when I actually go to run. 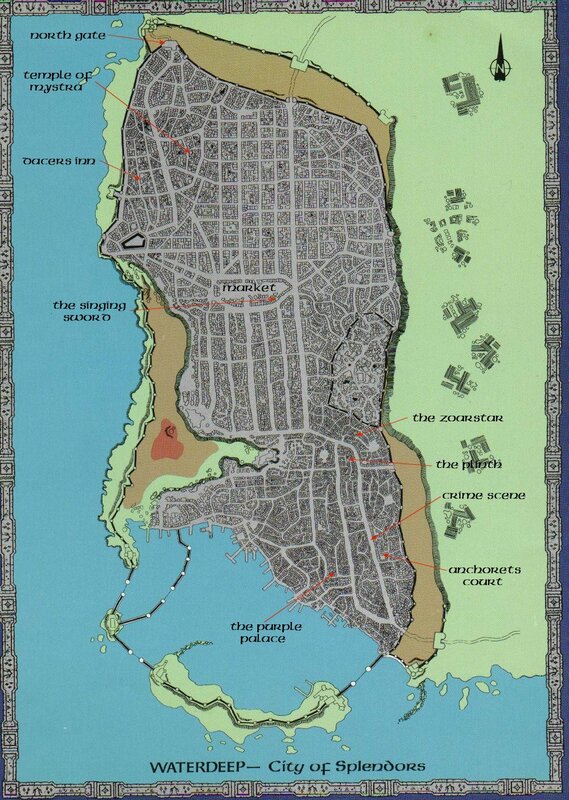 My favorite city map has always been the City-State of the Invincible Overlord from Judges Guild. I think it qualifies as useful and a fine wall hanging. In fact its over my desk now. Great post.